With a stay at Arnold Palmer's Bay Hill Club & Lodge in Orlando, you'll be a 1-minute drive from Arnold Palmer's Bay Hill Golf Club and 7 minutes from Universal Orlando Resort™. 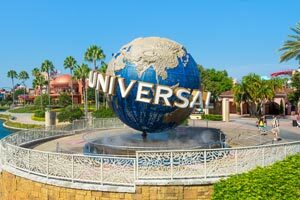 This 4-star resort is 2.8 mi (4.5 km) from Universal Studios Florida™ and 3.5 mi (5.6 km) from ICON Orlando. Please note that only 2 guests per room are allowed to make tee times for golf. For more details, please contact the property using the information on the reservation confirmation received after booking.